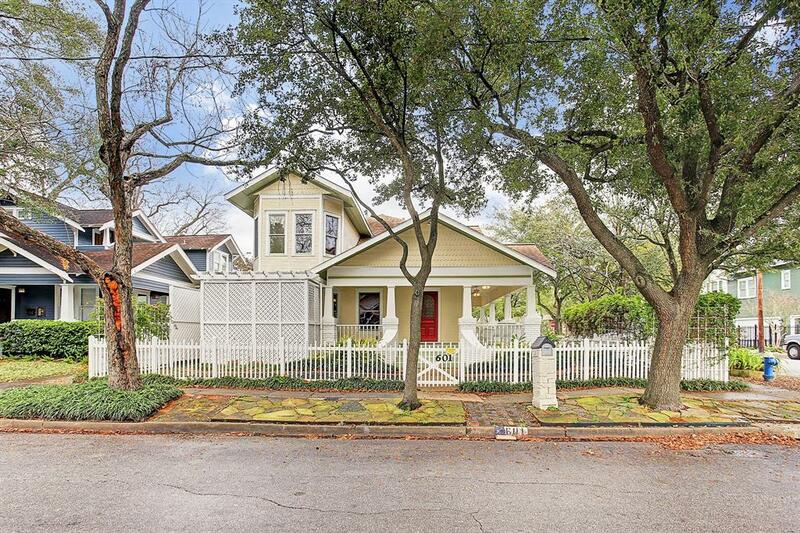 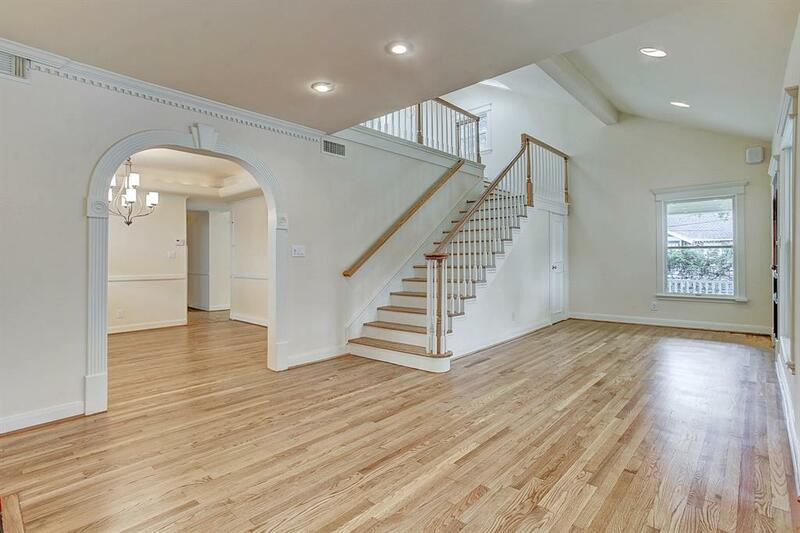 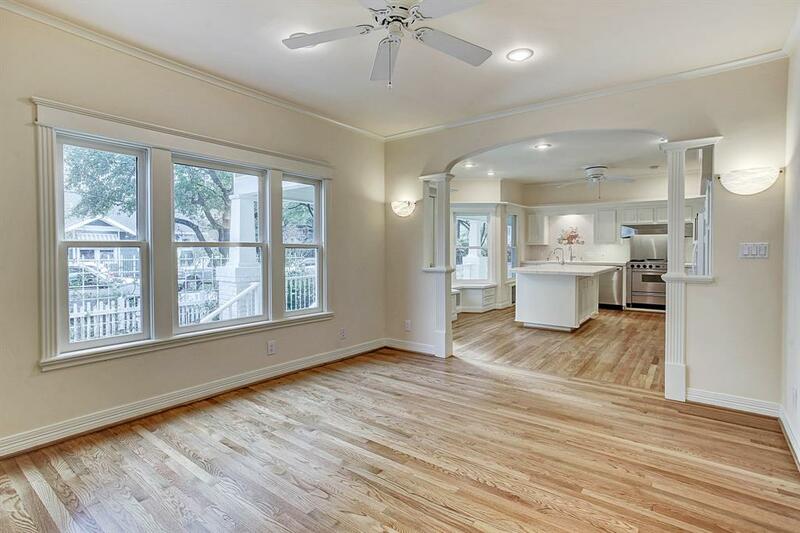 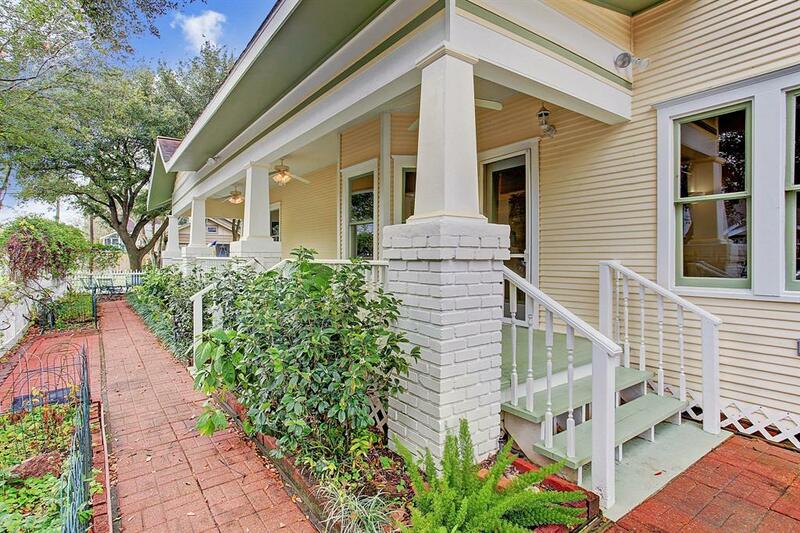 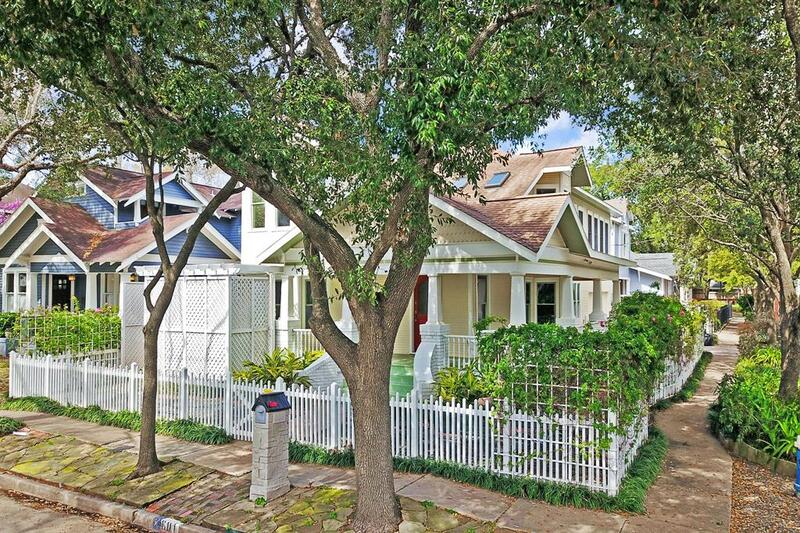 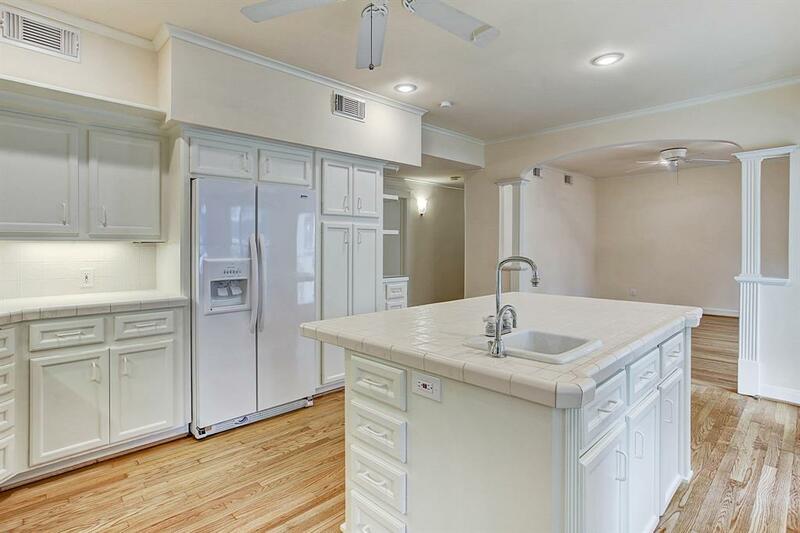 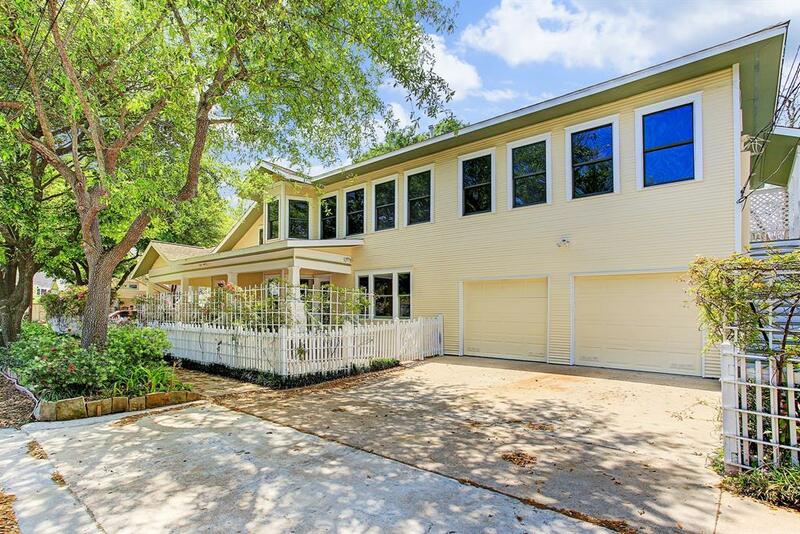 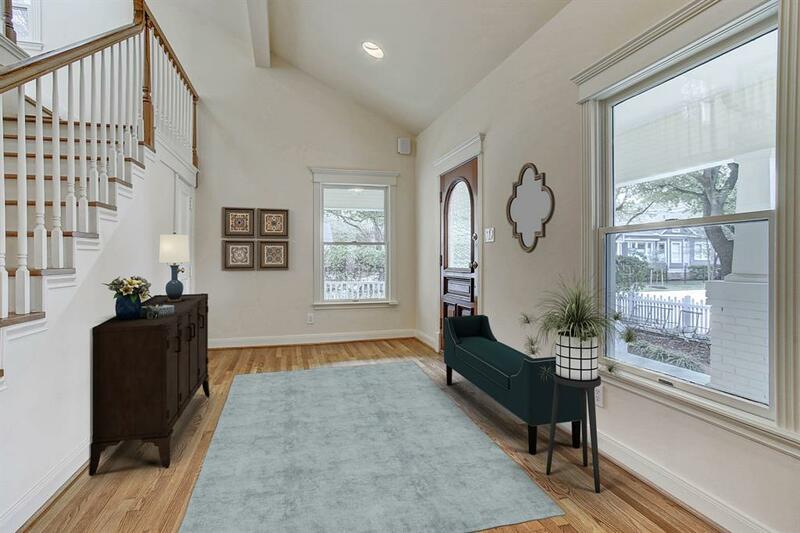 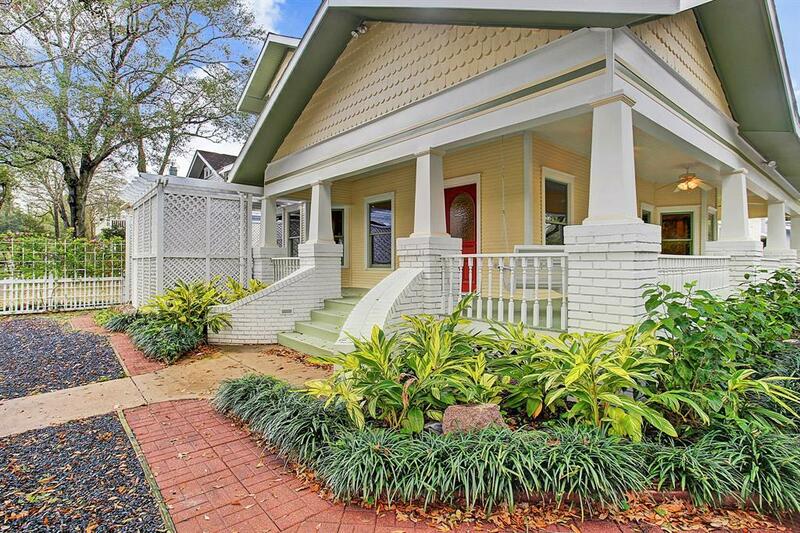 601 Highland Street, Houston, TX 77009 | Martha Turner Sotheby's International Realty, Inc.
$995,000 4 Bedrooms3 Full / 1 Partial Baths3,210 sq. 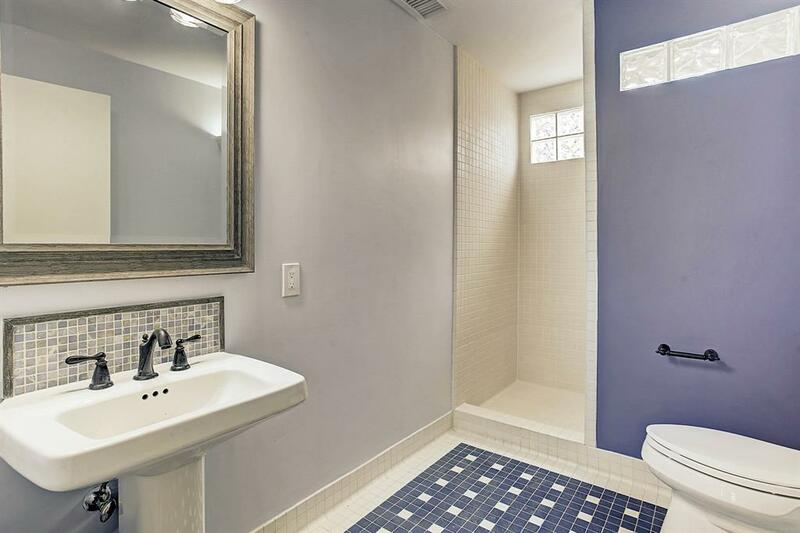 ft.
Modern house amenities meets old house charm. 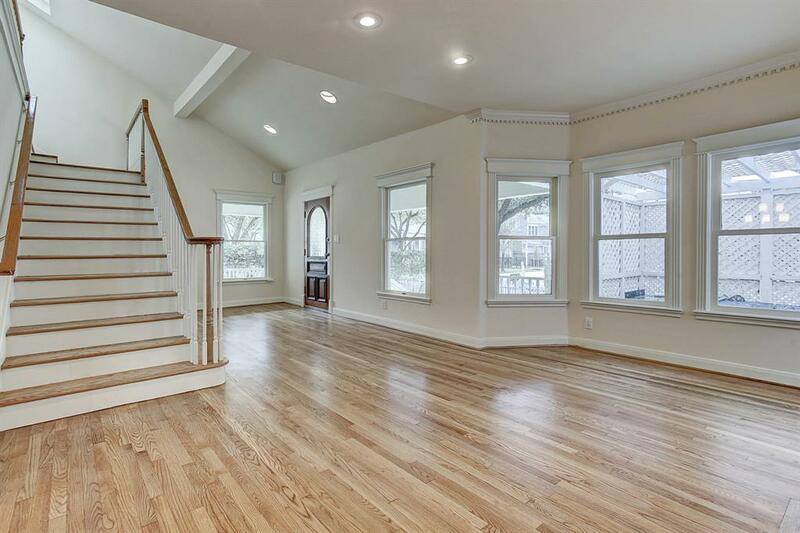 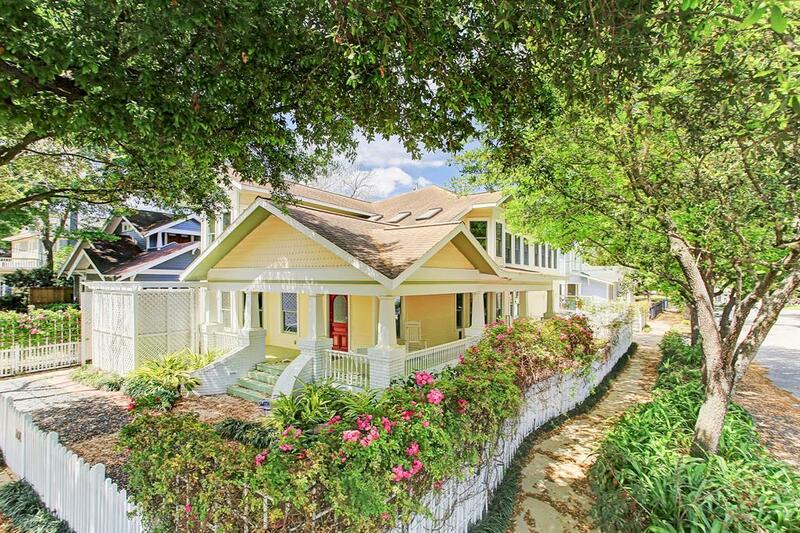 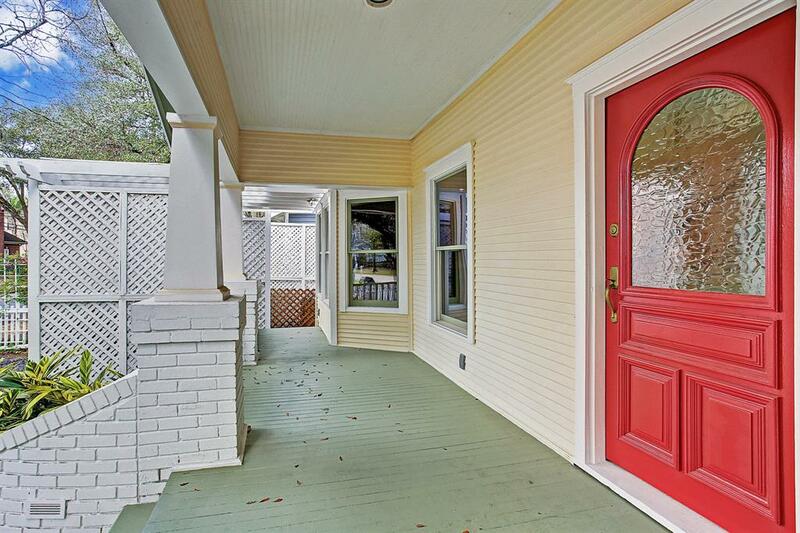 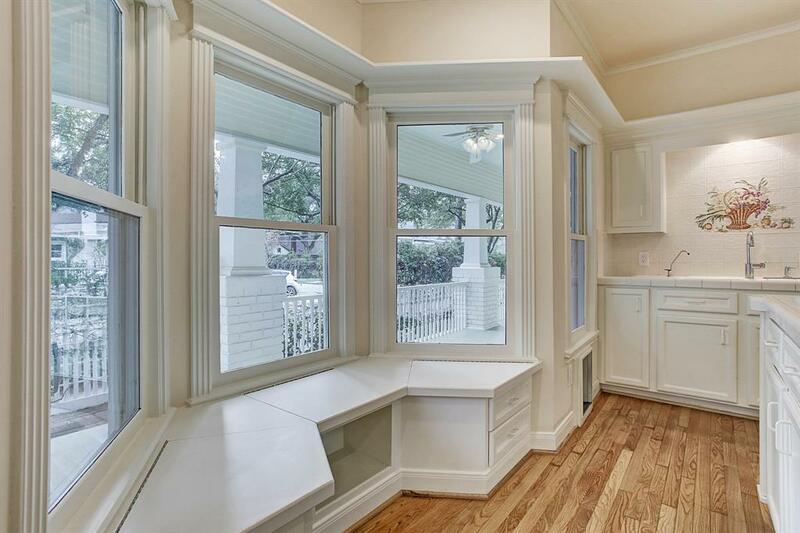 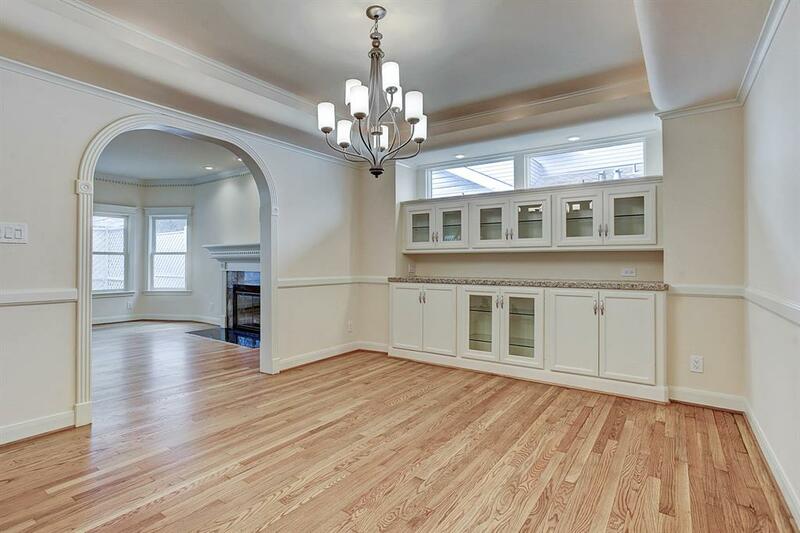 This Arts and Crafts style 2-story was essentially rebuilt from the front door to the back in the early 1990's. 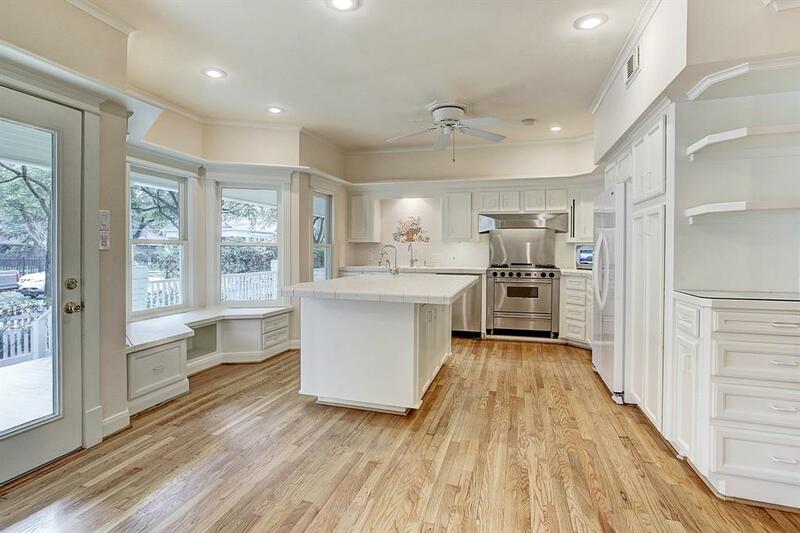 The builder retained the look and feel of an original Woodland Heights home, while remodeling and expanding to fit today's needs. 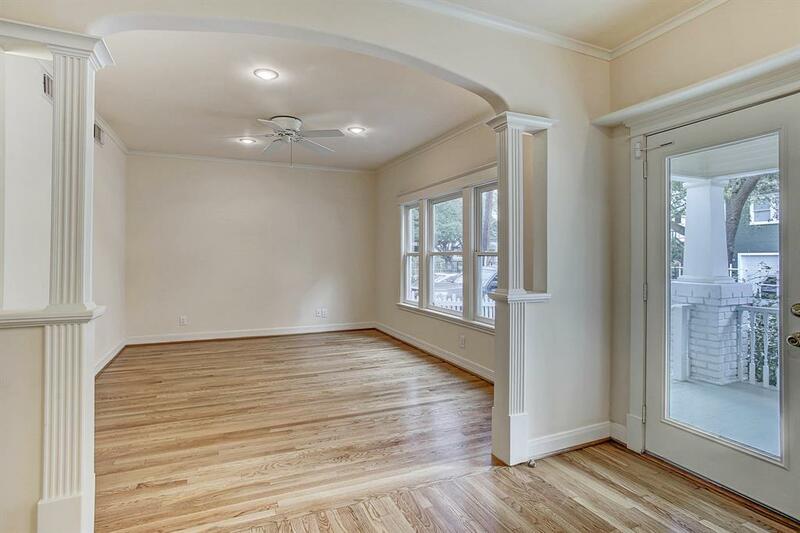 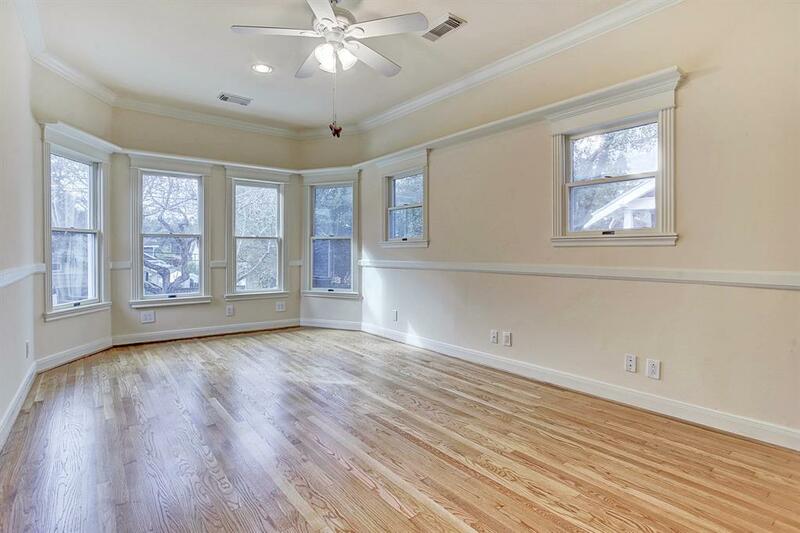 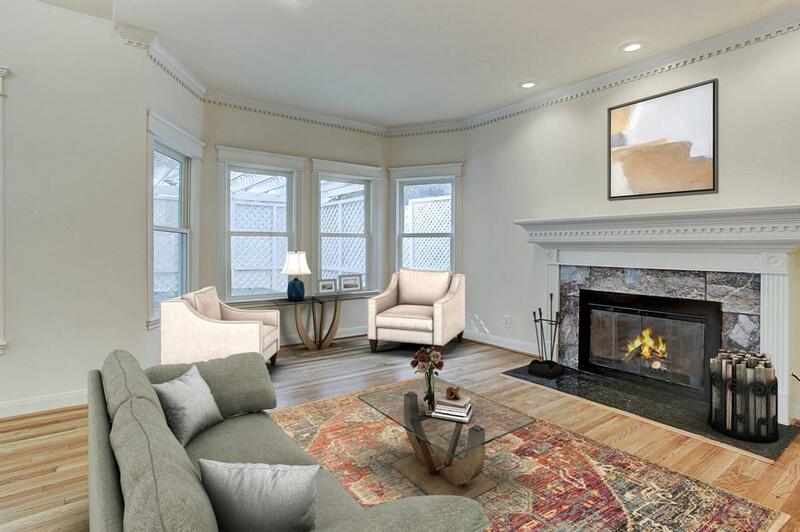 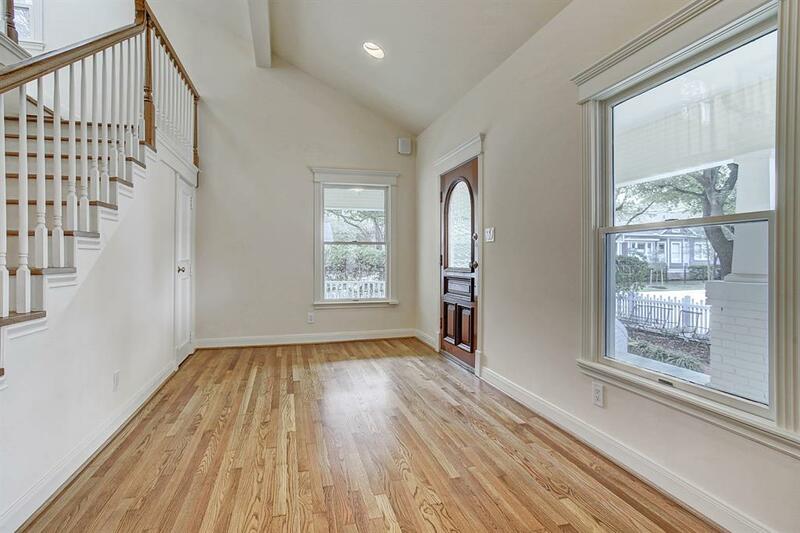 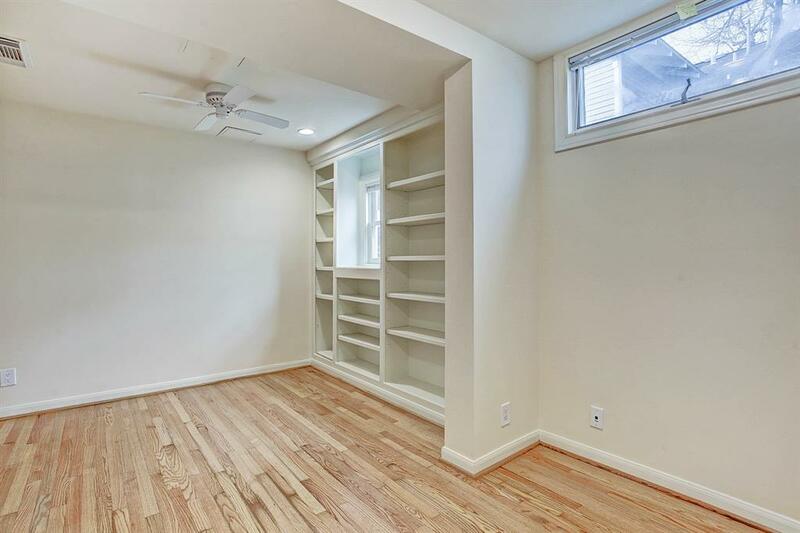 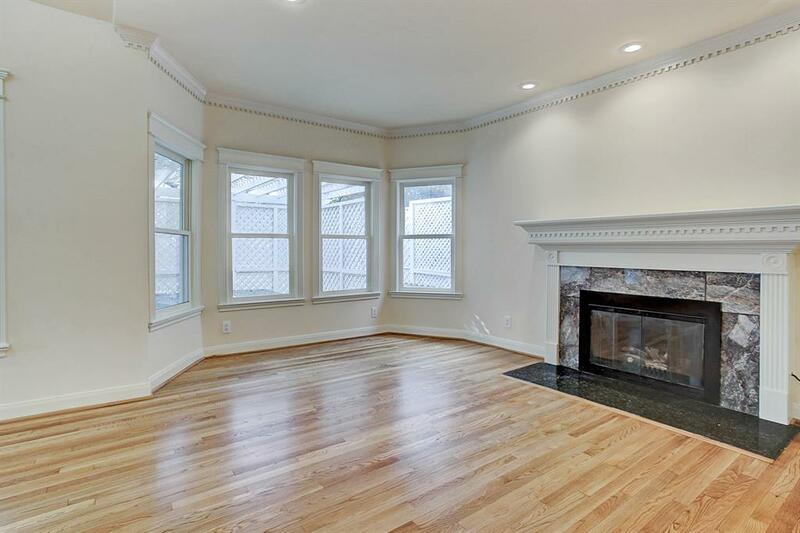 Features like double-hung wood windows and period moldings add character, and there are beautifully refinished hardwood floors downstairs. 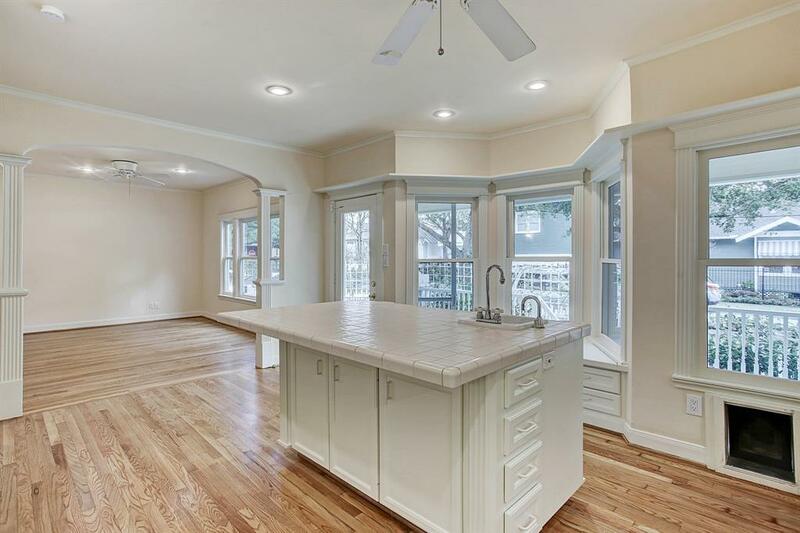 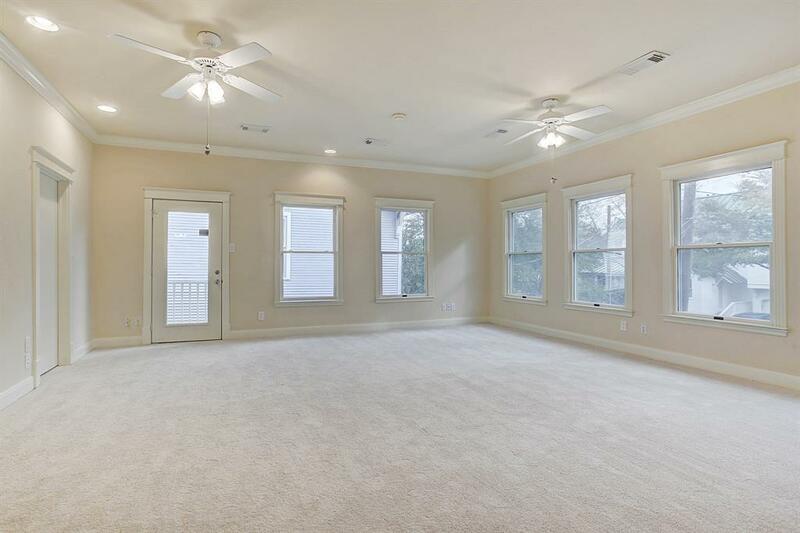 In addition to the front living and dining rooms, there is a large island kitchen with a professional Five Star gas range, and an adjacent family room. 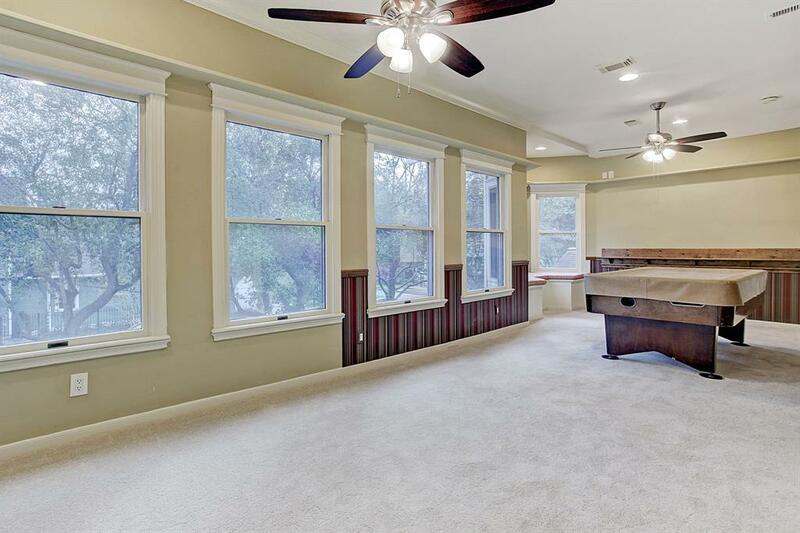 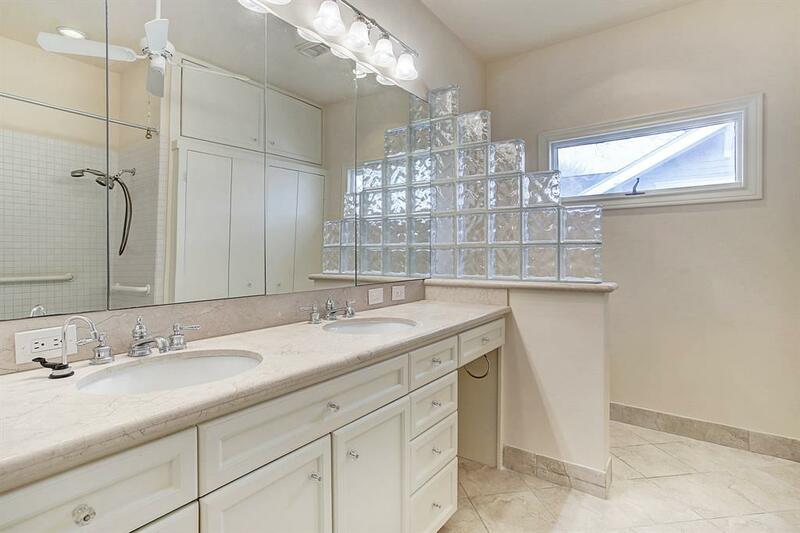 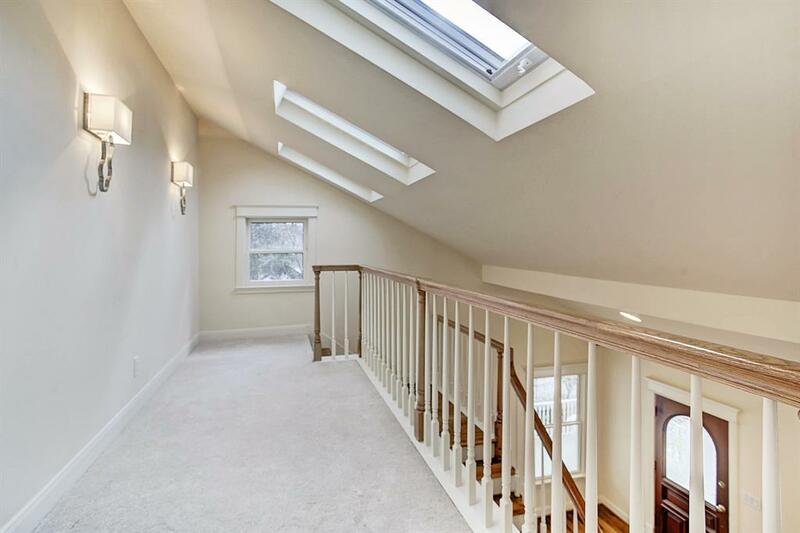 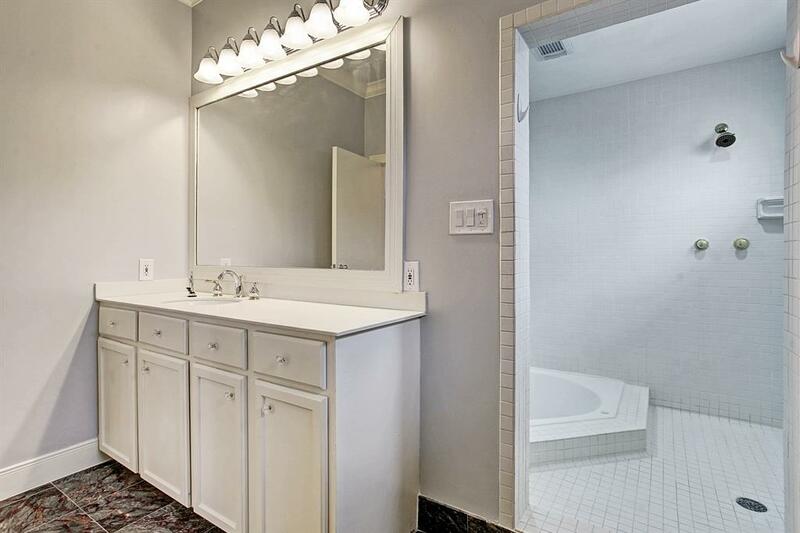 There is a full bath downstairs, next to the home office/guest room, plus 3 or 4 bedrooms up. 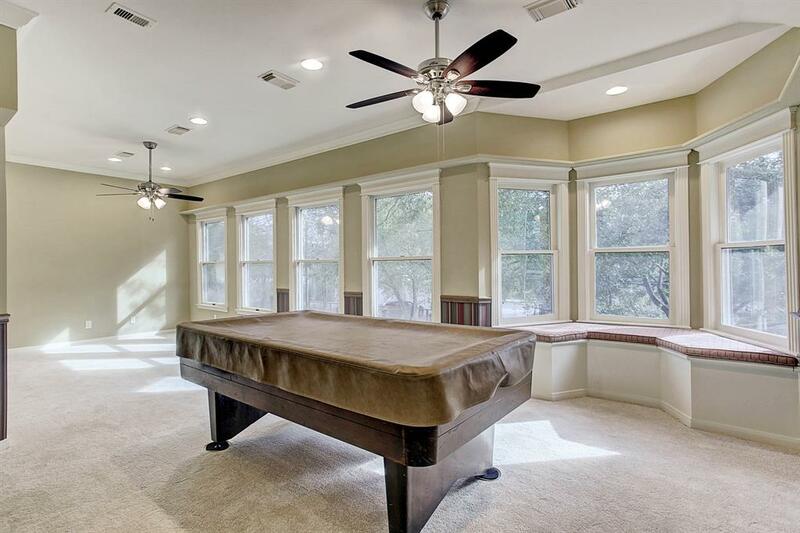 Currently, the game room is one large room, but the wall can easily be rebuilt to re-create 2 separate bedrooms. 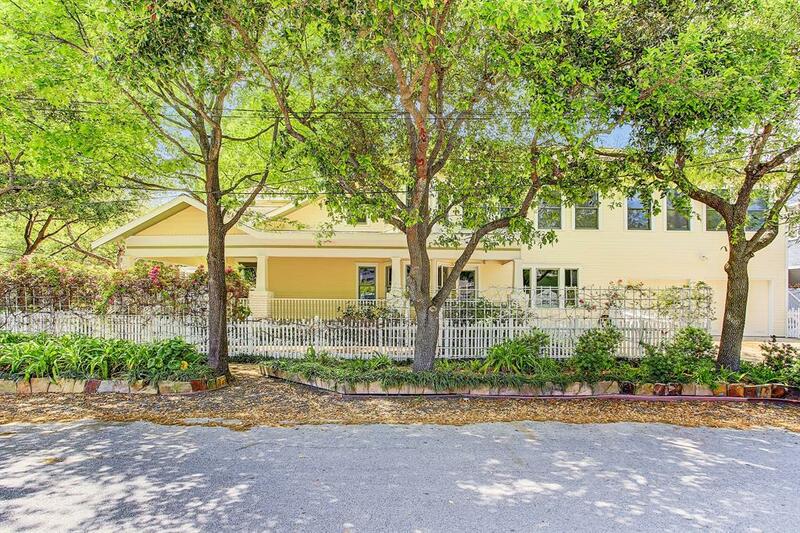 Fantastic corner lot with beautifully landscaped yard, and great view from the wide front porch that wraps around the house. 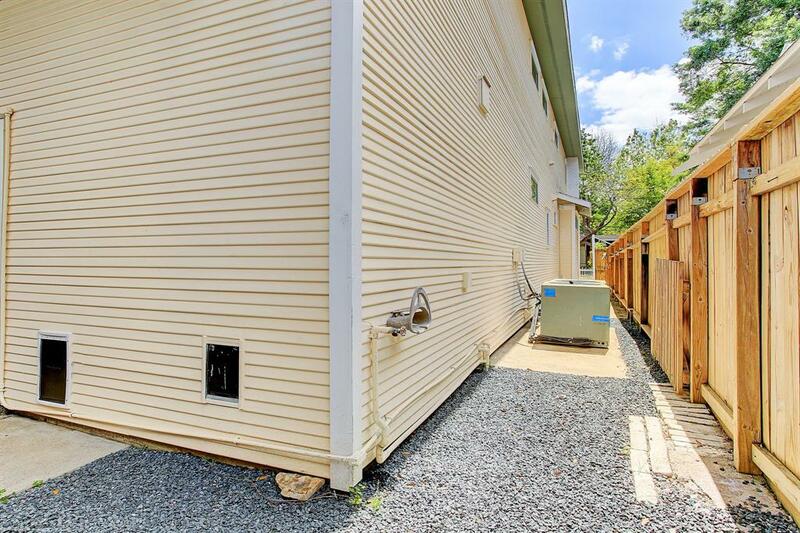 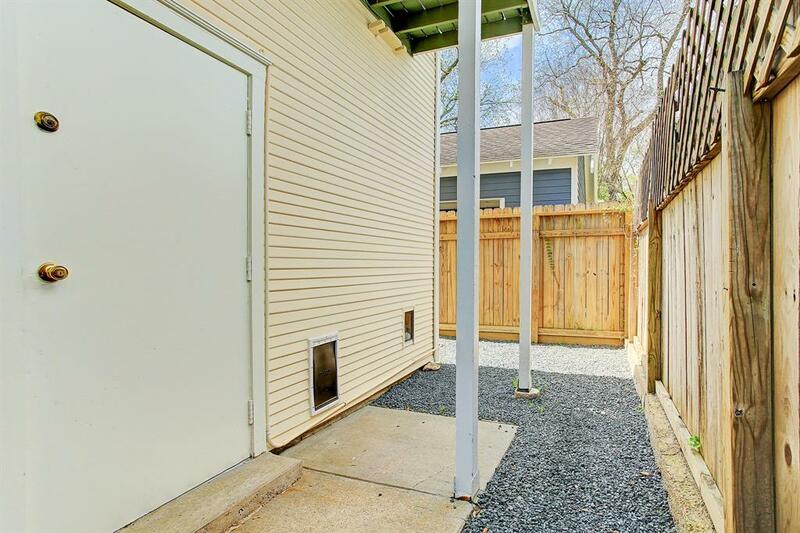 There is a bit of space for a dog run in back, plus a double-width driveway and garage.